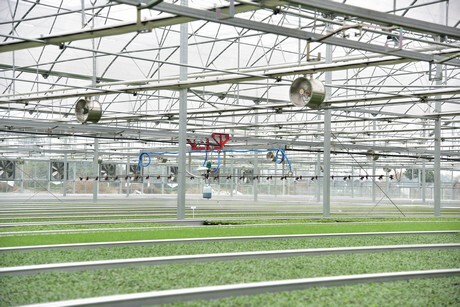 Jinpin Flower Seedling Co., Ltd. is the largest business partner of Urbinati in China. To meet production needs It has introduced Urbinati's Lambda, Kappa series seeding line equipment and series double rail irrigation boom IRMO3. Jinpin Flower was jointly established by Chengdu Jintian Seedling Co., Ltd., Ican Seed Co., Ltd. and Ernst Benary Samenzucht GmbH. 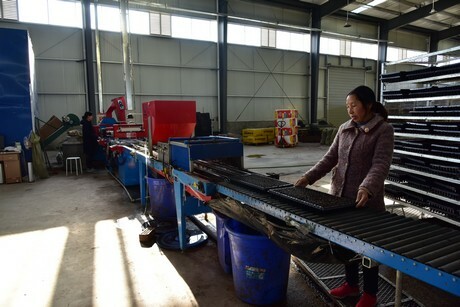 It is a comprehensive industrial chain enterprise focusing on the sales of flower seeds and agricultural products, the production and sales of flower seedlings and potted flowers, the introduction and display of new varieties of flowers, the promotion of cultivation techniques, education and scientific research, and sightseeing. 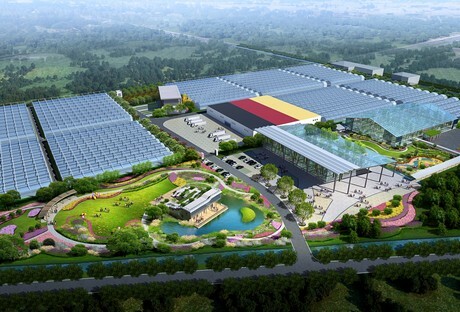 At present, Benary (Chengdu) seedling breeding innovation base is under construction, covering an area of nearly 200,000 square meters. After more than two years of development, Jinpin Flower has become one of the top three in China's flower seedling industry. Ms. Dong, the general manager of Jinpin Flower, said that in order to better promote the upgrading of flower varieties and promote the development of the flower industry, Jinpin Flower is scheduled to hold gold products at No. 123, Group 12, Quanshui Village, Ande Town, Pidu District, Chengdu in late April 2019. The exhibition was hosted by Jinpin Flower, co-organized by Benary and Ican Seed. This exhibition was the first flower Pack Trial that was officially held in Chengdu, China, after the new California Flower Pack Trial and the European Flower Pack Trial. With the theme of “New Gardening Power”, the exhibition will cover an area of about 40,000 square meters and will display new flower varieties and Begonia series products. The exhibits cover about 550 kinds of new flower varieties including 100 kinds of Begonia, Eucalyptus gunnii, Lavandula angustifolia, Dianthus, etc., as well as carnation, Osteospermum, Verbena, Pelargonium, Petunia, etc. A total of about 500 clonal new flower varieties in 36 major categories.